The challenging operating environment confronting reinsurers has led to some price stabilization at the Jan. 1, 2017 renewals, as they face the reality of deteriorating results and margin compression, according to JLT Re in a newly published report. “As a result, programs across a number of different territories and lines of business generally renewed closer to expiring levels, although some continued to experience more significant downward pricing pressures,” it continued. “Near-record levels of capital currently remain the dominant force in determining the direction of reinsurance pricing, as excess supply chases relatively muted demand,” said David Flandro, global head of Analytics, JLT Re. “Nevertheless, moderating capital inflows, increasing cessions at the margin, the prospect of higher insured catastrophe losses, reserving volatility, inflationary and interest rate concerns and declining forward reinsurer returns are coalescing to push back against downward pricing pressures,” he added. “[S]trategic reinsurance purchasing by some buyers has led to a subtle but notable uptick in demand in recent years,” said Mike Reynolds, global CEO, JLT Re. “Reinsurers have produced returns well in excess of expectations over the last three years, due in large part to favorable reserve development and a sustained period of good fortune with low insured catastrophe losses; 2016 was a reminder that these tailwinds cannot be guaranteed in future years,” he added. Static levels of reinsurance supply (after rapid growth between 2011 and 2014) due to a marked slowdown in the rate of third-party capital entry in particular. Growing demand for reinsurance as cedents recognized that current pricing levels presented opportunities to support growth goals, decrease costs of capital and increase franchise value. Increased loss experiences in 2016, with an uptick in attritional claims and global catastrophe losses (at approximately US$50 billion) returning to levels closer to historical norms. Growing reserving volatility, with some notable instances of reserve strengthening and evidence that the level of redundancies held by carriers is diminishing. A changing macroeconomic environment, including rising inflation expectations in the US, the UK, parts of Europe and some emerging economies, which could compound reserving risks due to higher claims inflation. However, these factors continue to be offset by near-record levels of dedicated reinsurance sector capital, although 2016 was the first year since 2008 in which dedicated reinsurance capital did not grow meaningfully, the report affirmed. At the end of 2016, JLT Re estimated sector capital to be approximately US$320 billion (compared to premiums of US$255 billion). US property catastrophe.Reinsurance rate declines for US property-catastrophe business continued to slow at the Jan. 1 renewal as pricing fell less sharply compared to the corresponding renewal in 2016. Several cedents had losses from Hurricane Matthew which affected the first (and occasionally second) layers, but this did not have a major impact on pricing for 2017 programs. Non-loss-affected layers mostly saw moderate rate reductions, whilst pricing generally held firm for loss-affected layers without registering significant price increases. There was also a marked increase in demand, with several cedents purchasing new top layers to take advantage of historically low pricing levels. Proposed changes to A.M. Best’s Capital Adequacy Ratio (BCAR) also positively impacted demand at Jan. 1, 2017. Western Europe P/C.The Western European reinsurance market continued to experience price softening across most lines of business at the January 2017 renewal. As capacity levels remained plentiful, pricing for loss-free property-catastrophe programs fell by an average of 5 percent on a risk-adjusted basis, a moderate decline compared to last year’s fall of 10 percent to 15 percent. This was mainly due to some markets suffering losses in 2016, with significant flooding in France and Germany and a costly hailstorm in the Netherlands. Renewals for other lines, including motor and general third-party liability, were dependent on historical performance. Renewals ranged from flat to down 5 percent for these lines of business, JLT Re said. London market global property.The direct and facultative (D&F) market continued to experience some softening at Jan. 1, 2017, although at more moderate levels when compared the January 2016 renewal. Loss-free direct and facultative (D&F) property programs typically saw pricing fall by between 4 percent and 6 percent on a risk-adjusted basis in 2017. Long-term relationships were an important factor, with markets willing to make concessions in order to safeguard profitable and longstanding business. Capacity levels remained plentiful in the D&F market when pricing levels were considered adequate. Any changes to premium incomes, risk exposures, loss experiences and the structure of programs were key to the outcome of renewals in 2017. First layer retentions generally remained unchanged where exposures were flat. The trend for increased self-retention levels experienced in 2016 slowed. D&F risk excess business saw some loss activity in lower layers in 2016 due to events such as the Gap warehouse fire in the US. Rates at Jan. 1, 2017 were experience driven for first layers., while concessions were seen on loss-free middle layers, and top-layer pricing was considered by most markets to be at, or close to, minimum ROL levels. London market casualty.Renewals for London market casualty business at Jan. 1, 2017 were completed at a relatively late stage. One of the reasons for this trend was the growing concern of reinsurers about material adverse loss development on accounts that have historically received credit for their experience. To compound the issue, some meaningful losses materialized on the 2015 and 2016 years of account. In addition, cedents were slow to provide firm order terms “as there was a large disconnect between what buyers felt were satisfactory quotes and what reinsurers were prepared to offer,” JLT Re said. Recent notifications put considerable pressure on immature programs at Jan. 1, 2017, particularly those that had previously benefited from heavy experience discounts. “As a result, markets took tailored approaches to each program,” the report added. The full report is available via JLT Re’s publications portal, where a PDF of the report is published. 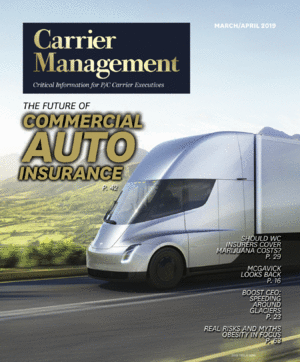 *This story was published previously in our sister publication Insurance Journal.